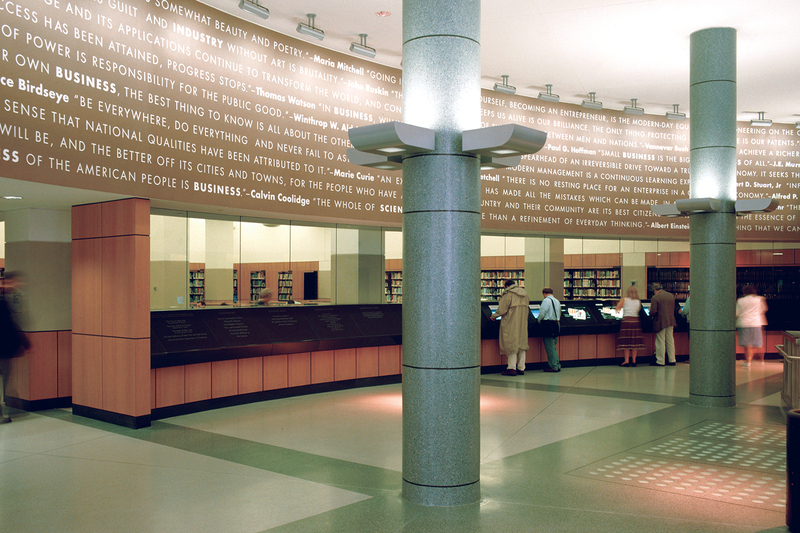 The New York Public Library’s Science, Industry and Business Library, housing 160,000 square feet of public space in the former B. Altman Department Store, required signage for a wide range of needs in a variety of spaces from the primary information desk to individual book stacks. 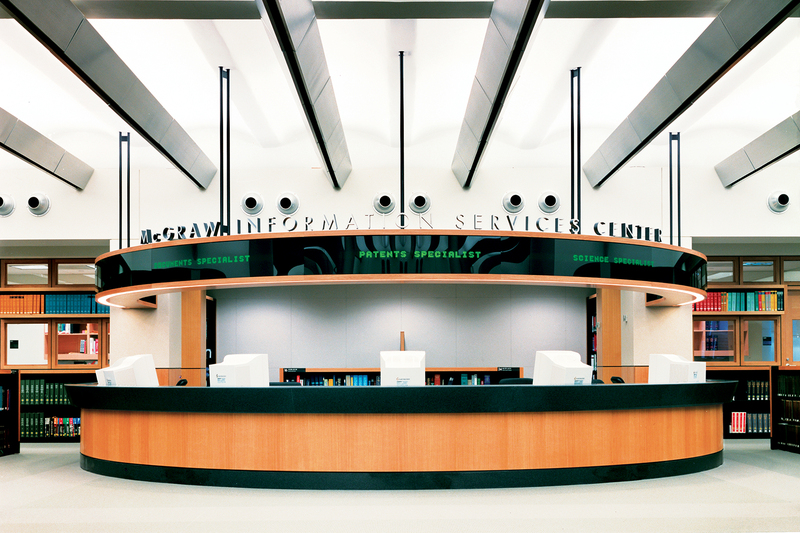 Graphic communications needed not only to identify locations and impart information, but had to be flexible, look uniform, recognize principal donors, and contribute to the overall image of the facility. Spagnola & Associates’ beautiful solution merged in true harmony environmental graphic information and architecture. We made a functional space come alive by creating an integrated program of messages all around the visitor. 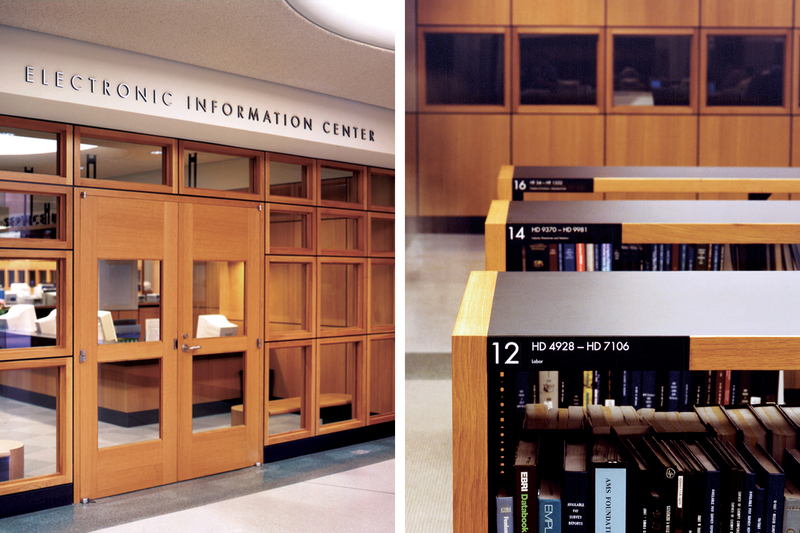 The state-of-the-art project, which included programmable custom LED signs, set new standards for library communications. The results reflect the world class nature of this program: high quality, well designed, sophisticated, yet pragmatic.